Did you know W.B. Mason has it's own stamp workshop? Located in our South Boston location, we can build your custom stamp and have it out to you in 1-3 business days! W.B. 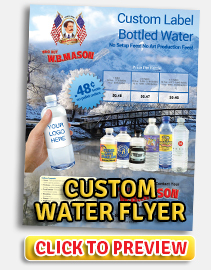 Mason has the capability to customize almost any product. Whether it be apparel for your employees, or give-aways for your customers, W.B. can fill almost any need!